"Lenny tried to kill me with what? His cellphone?" his attorney said Friday. "Lenny doesn't own a gun. 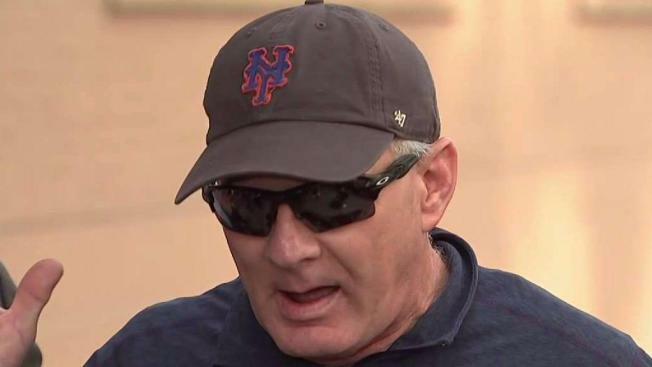 Lenny was a victim, he was entrapped, held hostage in an Uber trying to get out"
Ex-Met Lenny Dykstra, a three-time All-Star now perhaps best known for a series of bizarre and troubled incidents over the years, addressed his most recent fray -- an arrest over an Uber altercation -- at a news briefing Friday, saying he was the one in fear for his life. "They don't call me Nails because I'm soft," Dykstra told reporters who crowded on a Second Avenue street corner. "I called 911 because I was in fear for my life. I said this man is crazy. He's kidnapped me!" Dykstra was arrested on a Wednesday in late May after authorities said an Uber driver told them the ex-ball star put a gun to his head when the driver declined his request to go somewhere other than his original destination. The driver, who told of an expletive-laden tirade that involved threats to "blow off" his head, stopped outside police headquarters in Linden, New Jersey, and ran out of the car. Dykstra, 55, was taken into custody at the scene. 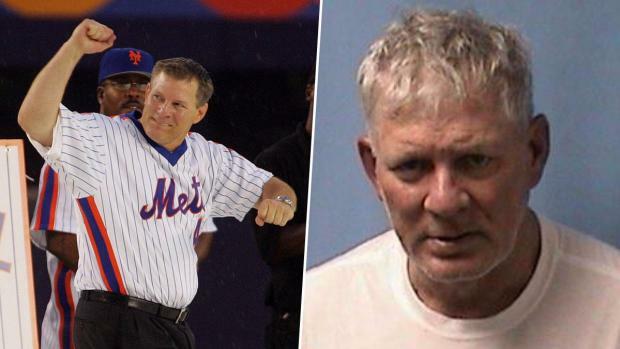 Mets legend Lenny Dykstra has been accused of threatening to kill an Uber driver in New Jersey on May 23, 2018. Police said they found cocaine, MDMA and marijuana among his belongings but didn't find a weapon. That's because the alleged gun threat never happened, Dykstra attorney Matthew Blit said on the street Friday. According to Bilt, Dykstra asked his Uber driver to take a certain route "because he's going the wrong way." The driver started yelling, and when Dykstra asked him to pull over, he engaged the child locks, according to Blit. The driver then sped up. "Lenny, scared for his life, grabbed his cellphone and dials 911," Blit said. "The car is now swerving. He loses 911. They call him back twice as he's fearing for his safety." The driver never called 911. Once cops arrived, Blit says the Uber driver told them Dykstra had been trying to kill him. "Lenny tried to kill me with what? His cellphone?" Blit said. "Lenny doesn't own a gun. Lenny was a victim, he was entrapped, held hostage in an Uber trying to get out." Dykstra was charged with making terroristic threats and drug offenses. He was given a summons and released. Dykstra filed a complaint with police alleging he was falsely imprisoned. Another of Dykstra's attorneys said charges are pending against the Uber driver. The complaint covers the gist of what Dykstra and Blit said Friday. It says the driver refused to change destination, then wouldn't let Dykstra get out. "I called 911 several times from the back seat," the complaint, signed by Dykstra with a date of June 7, says. "When [he] heard I was calling 911 he began to drive the car erratically at a very high rate of speed, running lights. I was afraid for my life." The baseball star faced a swarm of social media comments -- some critical, others supportive after news broke of his latest arrest. At the time, he handled it in classic Dykstra fashion -- with lyrics from Taylor Swift, Rihanna and Kelly Clarkson. "But I keep cruising, can't stop, won't stop moving. It's like I got this music in my mind, sayin' gonna be alright," Dykstra tweeted, referencing the Swift hit "Shake It Off." Dykstra played 12 seasons with the Philadelphia Phillies and New York Mets and won a World Series in 1986 with the Mets. He was named to the National League All-Star team three times. Dykstra's life after baseball has been troubled. He has served prison time after pleading guilty to crimes including bankruptcy fraud, grand theft auto and money laundering, and he declared bankruptcy in 2009, claiming he owed more than $31 million and had only $50,000 in assets.